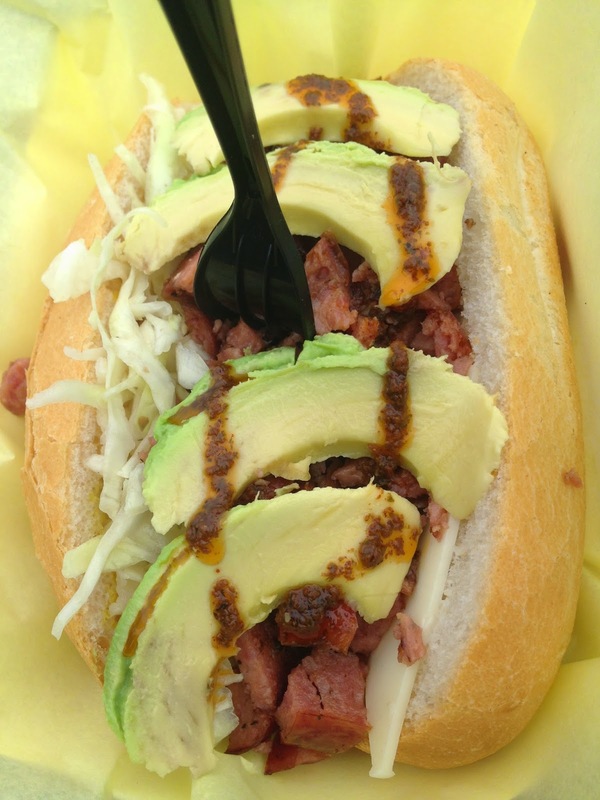 The sandwich is served on a large bolillo roll. Every time I've had a sandwich from Churraso Truck the bread has always been super fresh and today was no exception, the bread was crunchy and flaky on the outside and like a cloud on the inside. I expected a grilled and split link of sausage, but it came chopped, that actually made it easier to eat. The sandwich is filled with cole slaw and mayo. I added avocado to the sandwich. Notice The sandwich comes with a fork. 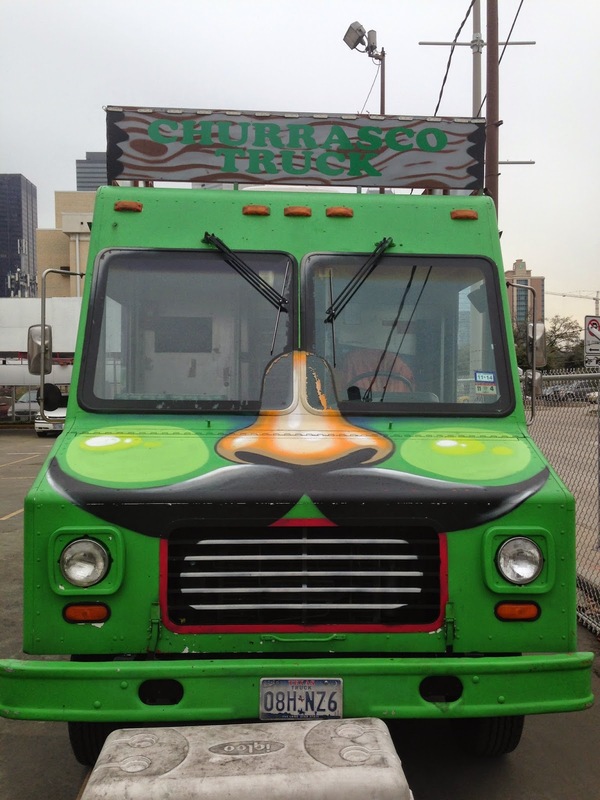 This isn't my first rodeo with Churasco Truck and I know that fork is a good idea, I took a few bites before trying to lift the sandwich. The Brazilian sausage reminds me of the German inspired sausage of central Texas I grew up with, coarse and peppery, just the way I like it. The Chimichuri sauce has a pleasant little kick to it. Before I knew it I had eaten the whole sandwich. 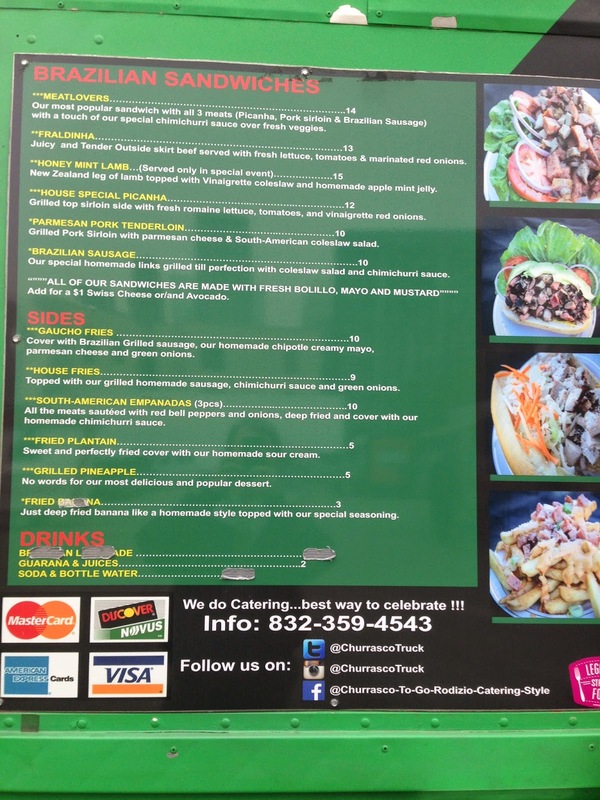 Synopsis: Another excellent sandwich from Churrasco Truck.